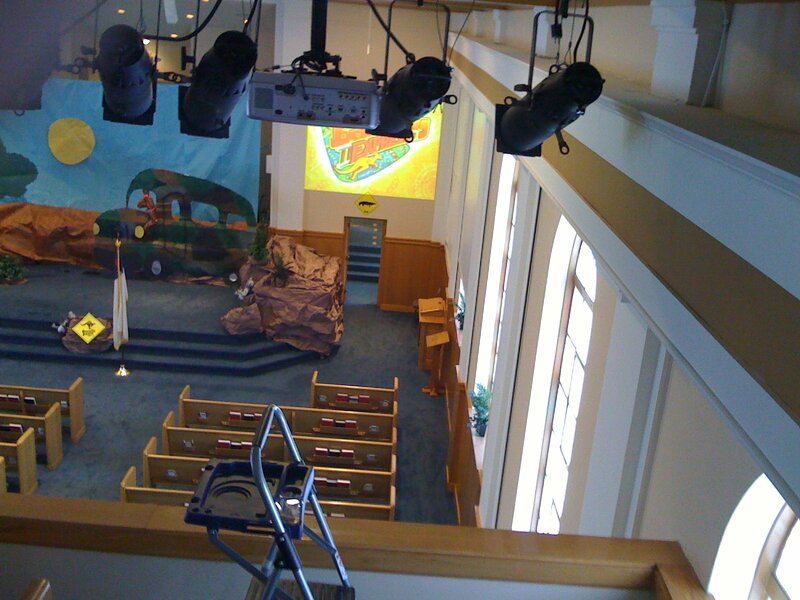 I had to climb a ladder yesterday in the balcony of my church to do some maintainance on a projector. Perilously close to the edge (dramatic exageration added for effect), I attempted to remove the bad bulb, but could not get the screw to turn. Just as I began to lose my cool, I grabbed a flashlight. Suddenly, I realized how badly I was missing the slot in the screw, and was able to change out the bulb. Just that little bit of light made all the difference. What keeps us from trusting God’s word for guidance? Arrogance? Laziness? If we were honest, a lot of times we just don’t believe what it says. The Word of God can guide us through dark times. Why don’t we let it?